Fred R. Schultz, Physician Assistant and CEO at Foundation for Positively Kids has been recognized as a “Leader in Medicine” among “America’s Best Doctors” for 2017. He will be sharing his knowledge and expertise on Medical Care and Strategic Management. 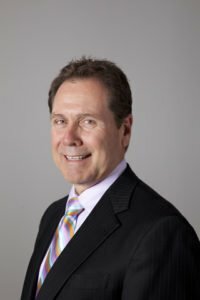 With over three decades of experience in the field of Medical Care and Strategic Management, Fred offers valuable insight in his role as the Physician Assistant and CEO at Foundation for Positively Kids. Established in December 1999, Foundation for Positively Kids serves as a non-profit organization offering healthcare services to medically fragile children. The team of healthcare professionals at Foundation for Positively Kids include Doctors, Physician Assistants, Nurse Practitioners, Registered Nurses, Licensed Practical Nurses, Certified Nursing Assistants, Physical Occupational and Speech Therapists who are focused on providing exceptional healthcare at an affordable rate. As the Physician Assistant and CEO at Foundation for Positively Kids, Fred’s day-to-day responsibilities include the oversight of 5 school-based pediatric health centers for the Las Vegas Clark County School District, providing medical care for over 3,600 kids in Foster Care and managing 200 kids for the State who are developmentally delayed up to the age of 3. Prior to his role at Foundation for Positively Kids, Fred utilized his experience in healthcare management as the Director of Respiratory Therapy at Bi-County Hospital. Subsequently, he went on work as the Directorship at Bethesda Memorial Hospital in West Palm Beach, a Respiratory Care Program instructor, and CEO for Total Home Care. Throughout the course of his education, Fred earned his Certification as a Physician Assistant from Wayne State University. In 1973, he earned his Master in Health Administration from Ohio Saint Matthews University. Fred maintains affiliations with the American College in Healthcare Executives, National Covering Kids and Families Network, and National Maternal Child Health Organization. He is a Board Member to the Down Syndrome Organization and serves on the Board of Directors of the Child Advocacy Center Foundation for Clark County, Nevada. Due to his strides in the Healthcare field, Fred has received the 2006 Winner of the Las Vegas Chamber Award, 2012 Humanitarian of the Year, 2008 Non-Profit of the Year, 2016 Top Non-Profit Foundation, and HomeTown Heros Award. Fred became involved in his current position after working with both adults and pediatrics for several years and developing an interest in pediatric care in Nevada. Looking back, he attributes his success to the satisfaction he gets from making a difference. In his spare time, Fred enjoys traveling and working out. He volunteers with the United Way and the Red Cross. Considering the future, Fred hopes for continual growth in research and the creation of a 36 bed, in-patient, skilled facility for the medically fragile children. Foundation for Positively Kids is non-profit organization that provides pediatric healthcare services to medically fragile and developmentally delayed children. Each staff member at Positively Kids is chosen for their ability, energy, and enthusiasm to develop and maintain their current and future pediatric programs. They are composed of Doctors, Physician Assistants, Nurse Practitioners, Registered Nurses, Licensed Practical Nurses, Certified Nursing Assistants plus Physical Occupational and Speech Therapists. The long term goal at the Foundation for Positively Kids includes creating a bill within their legislature which allows a certain percentage of the Nevada state budget to provide financial services for kids who are medically fragile. Rick A. McPheeters, DO Glenn Talboy, M.D.